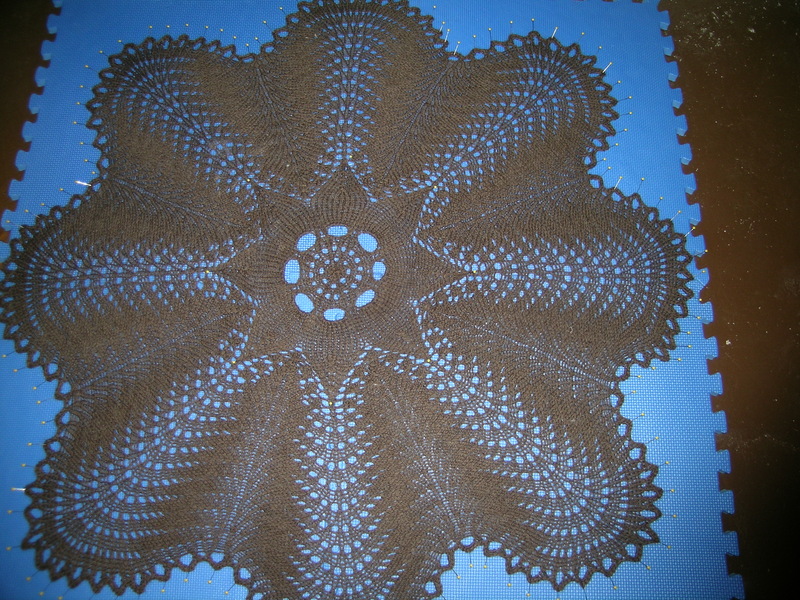 I finally gave a proper blocking to my doily lap blanket, otherwise known as the Hemlock Ring Blanket, that I made a couple of years ago. It looks so much better than the lump that has been sitting on my couch for the past 2 years. Blocking is everything! 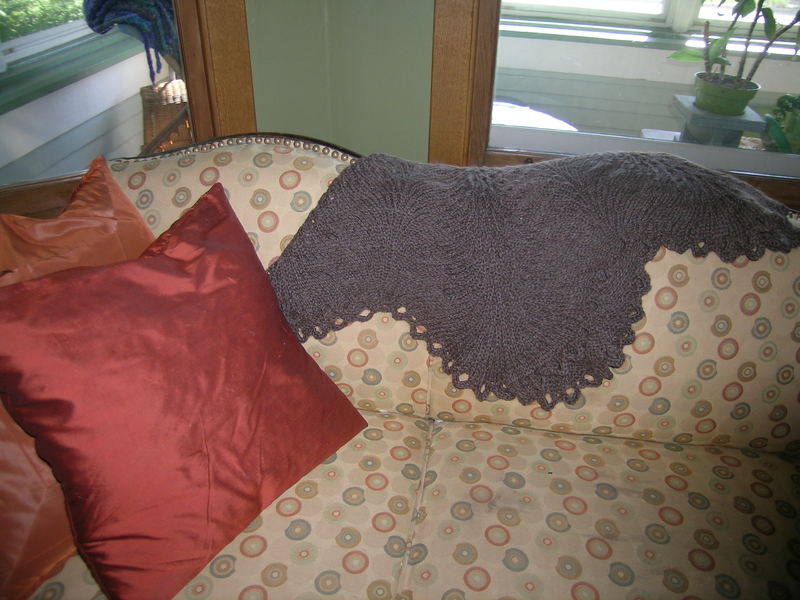 And I am almost finished with my KAL mystery scarf project from Janel Laidman’s Knitterati sock club. 3 rows from the end and I run out of handspun yarn! Luckily I love Fiber Optic so much that I had the end of a blue-green gradient as a single. 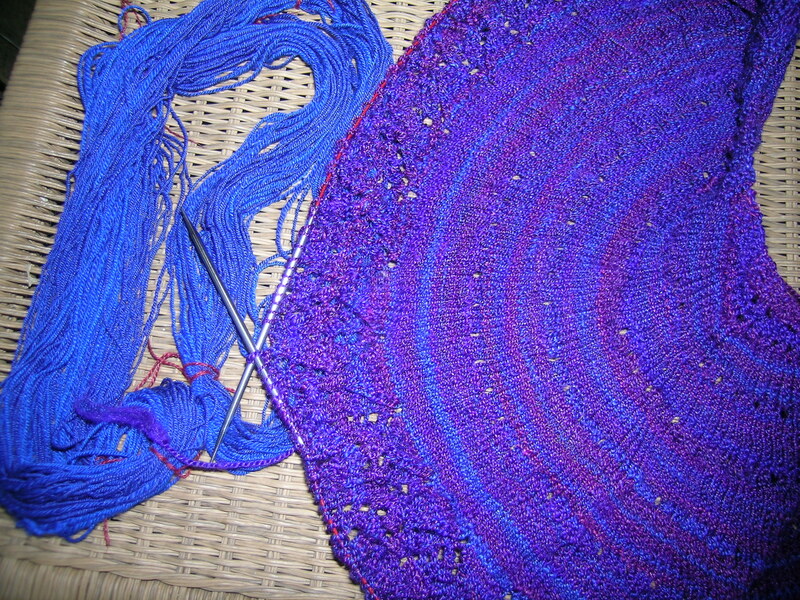 I Navajo plyed it (with a couple of practices), and have what I think will be a lovely blue ending to this scarf. Yesiree, blocking *is* everything! Your doily looks great! 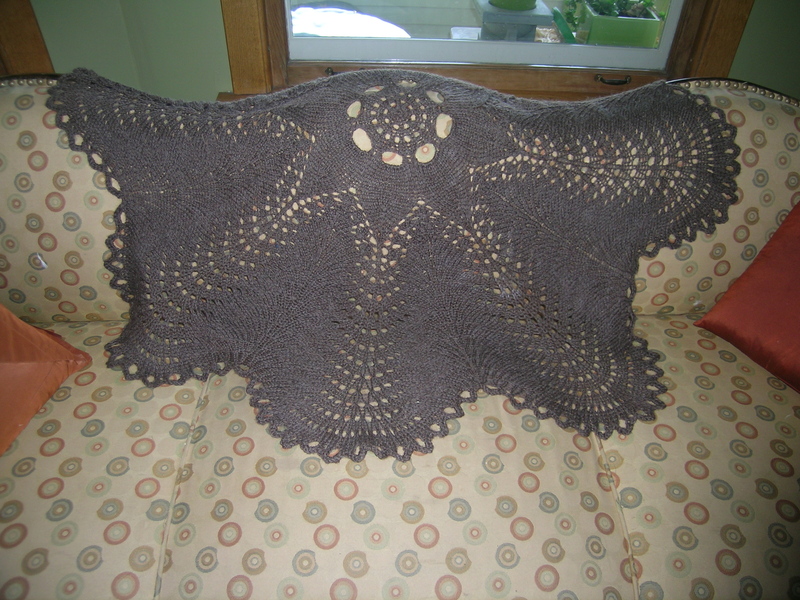 If I could justify knitting another one of these, I’d do it in a second!